Scotland will remain part of the United Kingdom after 1,914,187 of its citizens voted ‘No’ to independence on Thursday, out polling the 1,539,920 people who voted ‘Yes’. Scotland’s First Minister, Alex Salmond, who accepted the result, called for unity and the unionist parties to deliver on their pledge of more powers. Following the announcement of the results, Salmond said the referendum and the high turnout had been a “triumph for the democratic process” and promised to keep his pledge in the Edinburgh Agreement which paved the way for the referendum to respect the result and work for the benefit of Scotland and the United Kingdom. “The unionist parties made vows late in the campaign to devolve more powers to Scotland,” he told supporters, adding that “Scotland will expect these to be honoured in rapid course – as a reminder, we have been promised a second reading of a Scotland Bill by March 27 next year. In response, UK Prime Minister said in a tweet, Friday morning, that “Just as Scotland will have more power over their affairs, it follows England, Wales and N Ireland must have a bigger say over theirs”. Scotland fight for independence dates back to 1286 when Scottish King Alexander III died. Scotland was left without a ruler. His children were all dead, so his three-year-old granddaughter Margaret, known as the “Maid of Norway,” succeeded to the throne. When she fell ill and died, 13 rival noblemen stepped forward to stake their claim on the throne. To settle the question, the interim government (known as “guardians”) turned to King Edward I of England, who made all the claimants promise to accept him as overlord of Scotland, which they grudgingly did. Edward’s pick, John Balliol, became king of Scotland over the other leading contender, the sixth Robert de Bruce. Balliol’s reign kicked off the bloody Wars of Independence, as Scottish landowner William Wallace led the resistance to English rule. Things were however settled in 1707 when the Acts of Union formally united Scotland with England and Wales as Great Britain. 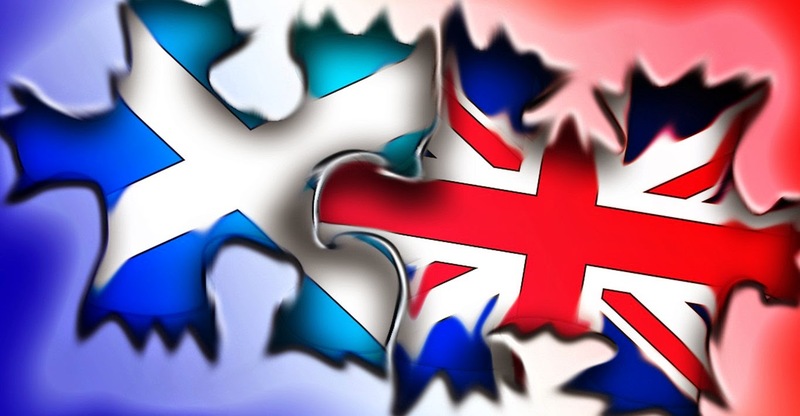 Not everyone in Scotland supported the union, however, and many resented answering to lawmakers in London. In a referendum in 1997, Scottish voters voted in favor of devolution of powers, which meant that although Scotland remained part of the United Kingdom, its government gained a broad range of new powers, including control of education and health care, and (for the first time since 1707) a Scottish Parliament. In 2007, the SNP won an upset victory in the Scottish parliamentary elections, ending some 50 years of Labour Party dominance; SNP leader Alex Salmond was elected first minister of Scotland, the top government post. He won a second term in 2011 and was able to use his party’s historic mandate to secure approval for a referendum on independence for Scotland. Great post. This article is really very informative & effective. I think its must be helpful for us.